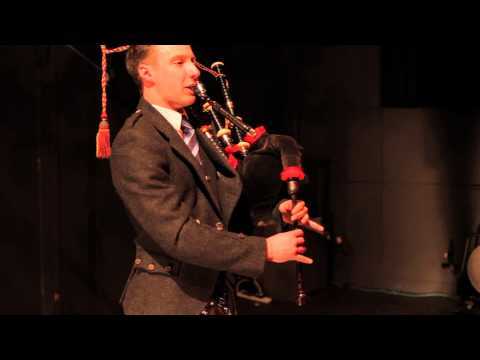 If you need to hire a piper for your wedding or event, then go no further than the superb Alasdair Turner. Alasdair, a piper for many years, was Pipe Major of his Novice-Juvenile Pipe Band and is now a member of a Grade 1 Pipe Band. He is also a Champion Piper who has played on the Solo Piping Circuit. Alasdair has piped at many weddings and functions including The Princess Royalâs visit to the Highlands, Celtic Connections, playing with The Red Hot Chilli Pipers, supporting The Chieftains, for BBC Alba in a Gaelic Music programme, âitradâ, for the start of Baxterâs Loch Ness Marathon, welcoming cruise liners to the Highlands, at The Ironworks in Inverness and for the finale of The Year of Culture. Although a young man, he is vastly experienced and a genuinely nice chap too. So if you'd like to add a touch of Scottish passion to your wedding or if you'd like to open your event in style, Enquire Now and we'll provide you with a free quote and availability. Sorry, Piper Alasdair Turner doesn't have any photos right now Send us an enquiry and we'll get back to you, or check out the rest of the act profile. Sorry, we don't have a setlist for Piper Alasdair Turner yet Send us an enquiry and we'll get back to you, or check out the rest of the act profile. ?Thanks once again, Ali, for a superb job piping at our weddings at the hotel. ?Colleen Calderwood, Senior Duty Manager at The Torridon, Hotel of the Year.